Marriage is hard. It just is. Two separate individuals joining forces to think together, present in unity, and carry out a life in some sense of solidarity despite the challenges of life, parenting, finances and more. And not only are there two individuals, but two separate personalities, value systems, experiences, knowledge, and so much more. So with all these pressures on a marriage it seems there should be a good antidote. There is!! It’s laughter! Let’s uncover some secrets to laughing your way to a better marriage. And I’ll even include a free tip sheet! My husband and I, like many others, came into marriage full of high hopes, starry-eyed love, and yes, a little bit of stress. Those high hopes and starry-eyed love don’t go away, but they can easily begin to feel drowned out by the stresses that can easily accumulate overnight! 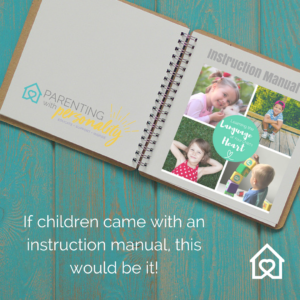 You start adding bills, expectations, children, and parenting issues…and before you know it, you are trying to remember what that starry-eyed love felt like. It is often said that opposites attract. And when people first meet, start dating, and become engaged, those opposites are often endearing, cute, or fun. In fact, we have probably all heard others say, “They complete me!” Over time though those differences can start to be the very things that cause friction in a marriage. In fact, in counseling we often go back to what first attracted you to your spouse. I can’t tell you how many times the very thing that brings people to counseling ends up being the very thing that at one point was the attracter. The problem–those traits have started to feel like extreme differences or ways that they don’t or can’t relate. My husband and I are about as opposite as two individuals can be. In our good times, we can say we have our bases covered. But in our weak moments, we tend to see that we just don’t get each other, can’t agree on things, or struggle to see life in similar ways. It has been a challenge to figure out how to navigate the differences and work beyond the struggles of our personalities to really bridge the gap we can often feel. I wish I could be sitting here today saying, “We’ve got it all figured out!” But we don’t! Each day we make conscious decisions to try and understand each other. We still err, learn, forgive, and move on. So how do we do it? Laughter. Laughter has been our biggest and best tool in marriage. It tends to be that thing that moves us off our stubborn spots and helps us reconnect. Well placed humor causes us to laugh, and laughing is our reset. It may sound odd. It may seem simple. But it works. This is not a new concept. 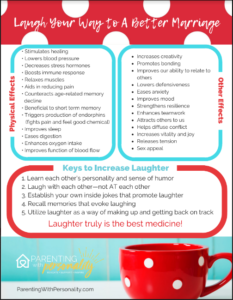 In fact, you may have read in the Bible the verse that states, “Laughter is good for the soul like medicine.” (Proverbs 17:22) And if you were to google health benefits of laughter, you’d be surprised to find numerous articles over the years that tell how laughing can improve your health. In fact, one fun science experiment allowed William Fry to discover that your heart rate after 10 minutes of rowing is equivalent to your heart rate after a solid minute of good laughter. In fact, they propose that laughing for 15 minutes burns 40 calories! So if laughter can have this many benefits to one’s physical health, we could surely imagine that there might be other benefits as well. Here is one interesting fact about laughter. According to Dr. Mercola, just hearing someone laugh actually activates the premotor cortical region of one’s brain, causing their facial muscles to respond and join in. This just might be why laughing can affect a relationship. Maybe just maybe yawning isn’t the only thing that is contagious?! There was a study done by Laura Kurtz with 77 couples. She found that those who laughed together as they talked consistently rated their relationship higher. Those who laughed more together tend to have higher-quality relationship. 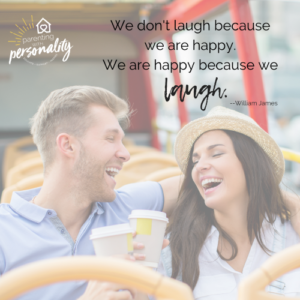 So shared laughter can be an indicator of greater relationship quality. Those who laughed more with their partners during this lab encounter reported feeling closer to and more supported by their partners. On the flip side, fake laughs, stunted grins, and awkward chuckles were all red flags. My husband and I have had some funny things happen over the course of our marriage. And some of those funny stories are the springboard for some ongoing inside jokes and stress relievers. I am a bit embarrassed to tell one such story, but it illustrates this point well. With that, I opened the window and threw that egg with all the frustration of the morning fueling the throw. That egg landed square next to his boot. I will never forget the look on his face as he turned and looked at me. “Next time, I will hit your back! And I could!” I retorted. Immediately, I was overcome with tremendous guilt. I felt so bad that I had actually done that. It wasn’t kind. It wasn’t respectful. It wasn’t appropriate. Then a look came across his face and he started to laugh. Right away I began apologizing. “I’m sorry. I really wasn’t trying to hit you with the egg. I just wanted you to know I could! I really am sorry. I shouldn’t have done that. I’m sorry.” He said he was actually impressed I could throw it that far, but that didn’t make me feel any better. I knew I was wrong. Thankfully he was able to laugh and it greatly changed the course of that morning. It has since become a little joke between us. I’ve playfully launched a few to get him to laugh. And he never disappoints, laughing every single time. I’ve vowed to never hit him with one. But it has been a source of laughter and moments of repair when we need to access the stress relieving laughter once again. Now hear me loud and clear. I am not advocating for throwing eggs at your husband or significant other. I am embarrassed that I did such a thing. Humiliated that I thought it would make me feel better and instead, I walked away looking immature and feeling guilty. But I am encouraging you to access some laughter, some humor, some light-hearted moments when things feel tough. Here are five tips to laughing your way to a better marriage. Learn each other’s personality and sense of humor. This is huge. What you think is funny might not be to them. Be a student of your spouse or significant other. Learn the things that make them giggle, chuckle, laugh, and roll on the floor. 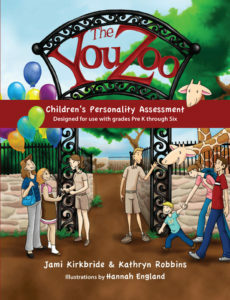 Each personality type will feel a different level of comfort with joking and laughing. 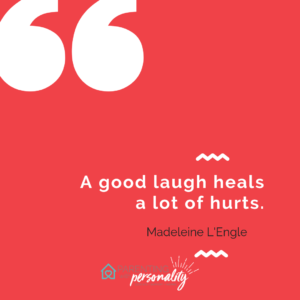 Some will laugh easily, laugh at themselves, love telling their embarrassing moments, and relive those embarrassing moments if it can make a tough moment feel better. Other personalities may feel guarded, cautious, or hesitant to joke, tease, or relive a moment that might have been embarrassing. Be sure to have a good understanding of this or you risk damaging a relationship by lacking the necessary sensitivity for who they are or what they are comfortable with. Laugh WITH each other, not AT each other! This is so important. You see if you get number one wrong, you just might end up doing this without realizing that is happening. Some personalities worry about looking dumb or others thinking they are stupid. Be careful about those things you laugh at. Make sure it is not laughter at the other’s expense. No one likes being the brunt of a joke. Be selective and sensitive. Make sure your laughter is shared laughter and not pointed and painful. Establish your own inside jokes that promote laughter. You may have inside jokes that relate to past experiences together, funny things you’ve seen, movies you’ve watched, or silly moments in your home. 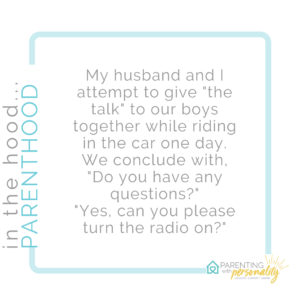 Regardless of what they are, inside jokes are a small way of communicating with your spouse that you share a world and find humor and fun there. It may be something as small and simple as a code word for intimate time together. Sorry guys, not sharing that example or our secret word would be exposed, and we’d have to find a new one! Only a handful of close family and friends are in on that one! LOL!! Recall memories that evoke laughter. 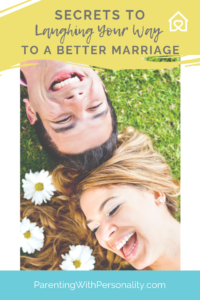 One of the things we learn in counseling and is supported by work done by the Gottmans’, is that couples who laugh together report a higher satisfaction in marriage and stay together longer. In fact, Gottmans’ actually did a study over the course of years that verified this very thing. They also noticed that couples who laughed and talked about their early dating days had a better chance at repairing marriage issues. So think back to memories the two of you have shared and find those stories that bring you both to laughter. We have a few embarrassing moments and hilarious memories that we can always rely on. Talk together about what yours might be! Utilize laughter as a way of making up and getting back on track. Stresses are great. Laughter is greater. Make choices to use laughter as a tool to help you make up. Well placed laughs, inside jokes, light-hearted interactions might be just what it takes to regroup and get back on track. Laughter is powerful. It is effective. It is fun. And sometimes, making that move to get to a better place relationally, just takes mixing it up a bit, doing something different, and interrupting the cycle. Give it a try. You just might be surprised! And you never know what that might lead to! It has been proven that laughter from the presence of others is more common and genuine than from jokes or other sources that are intended to make you laugh. So make time to be with those who help you and your spouse or significant other laugh. You might enjoy this podcast that I recorded with Pitbull Patti on this very topic! Feel free to share it with others! They say that the average person laughs 13 times a day. Let’s double that! Imagine how good things could be! Now go pin this article and share it with a friend. And don’t forget to get the free cheat sheet on laughter. 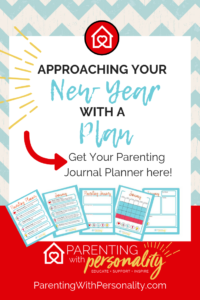 Click here to receive the full size download and many more free resources in your inbox! 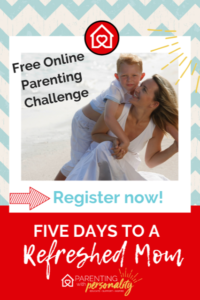 Don’t forget to register for the upcoming 5 Days to a Refreshed Mom Facebook Challenge this month. It’s free, it’s updated and it’s fun. Let’s connect! To register for more information and receive your resources for the challenge, register here. Great article! We have found laughter to be the best medicine. Best part? It’s free!